Monday, Dec. 5, 2016, 7 – 9 p.m. Some of the most pressing issues facing America's educational systems will be discussed during the "Education and Society" documentary film series. 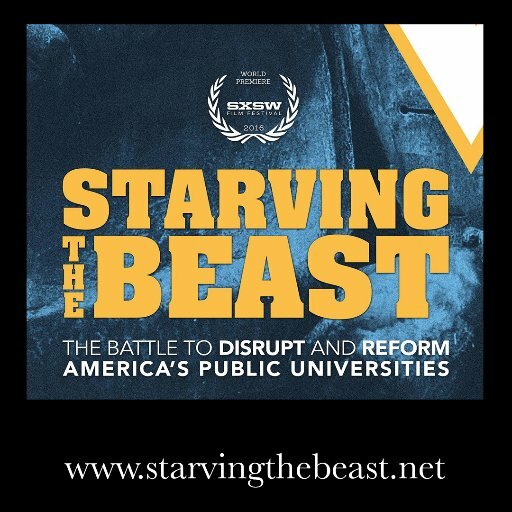 Watch "Starving the Beast" and join a conversation about the funding of public higher education. Examine the ongoing power struggle on college campuses across the nation as political and market-oriented forces push to disrupt and reform America’s public universities. The film documents a philosophical shift that seeks to reframe public higher education as a value proposition to be borne by the beneficiary of a college degree rather than as a public good for society.